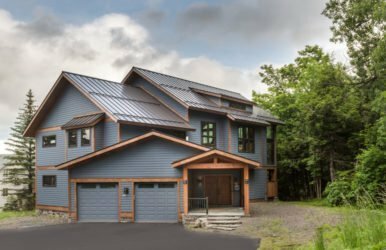 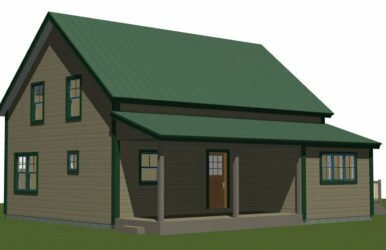 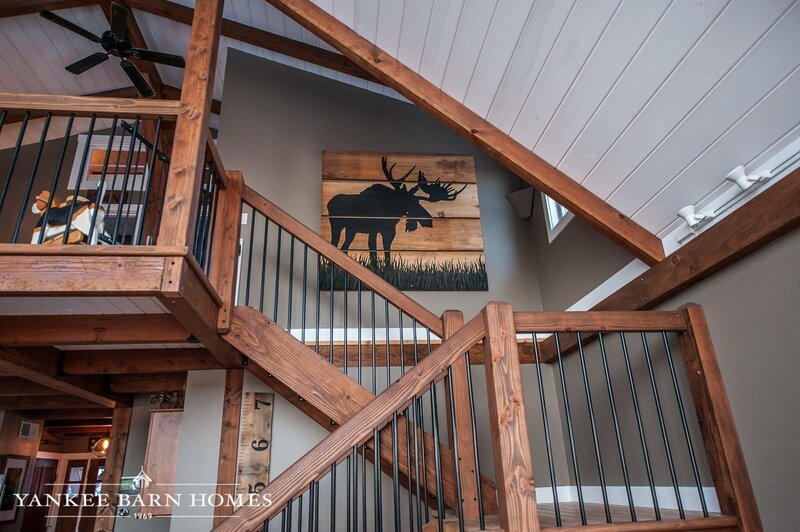 The Moose Ridge is a modern take on the mountain lodge style. 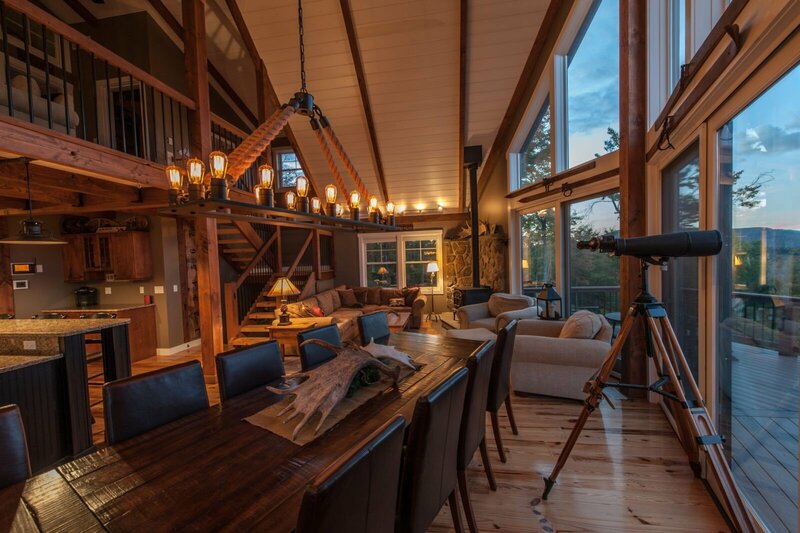 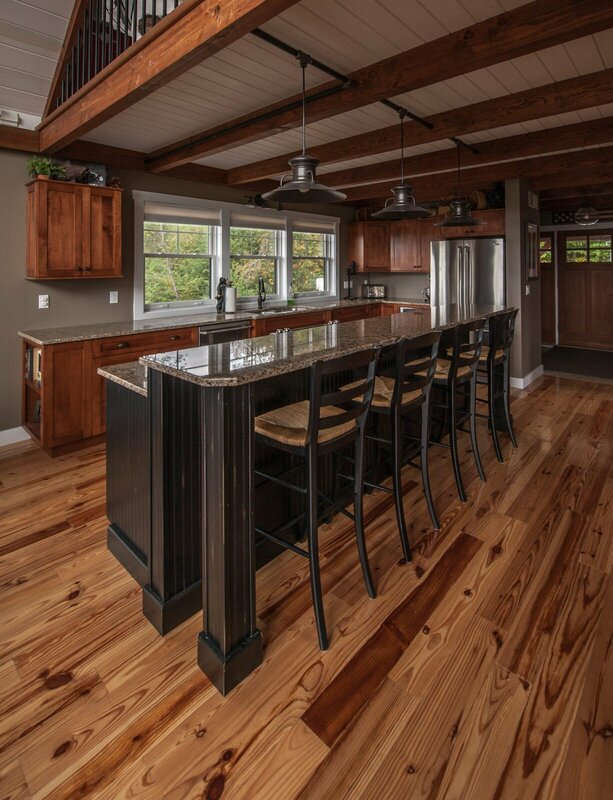 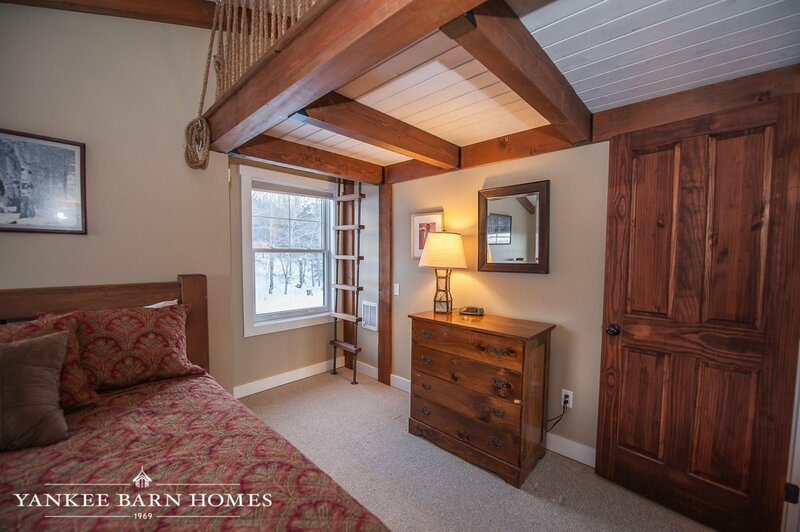 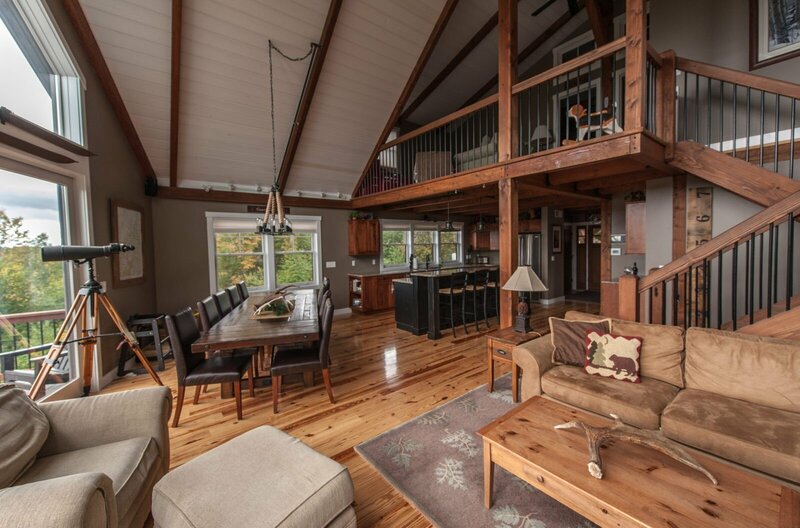 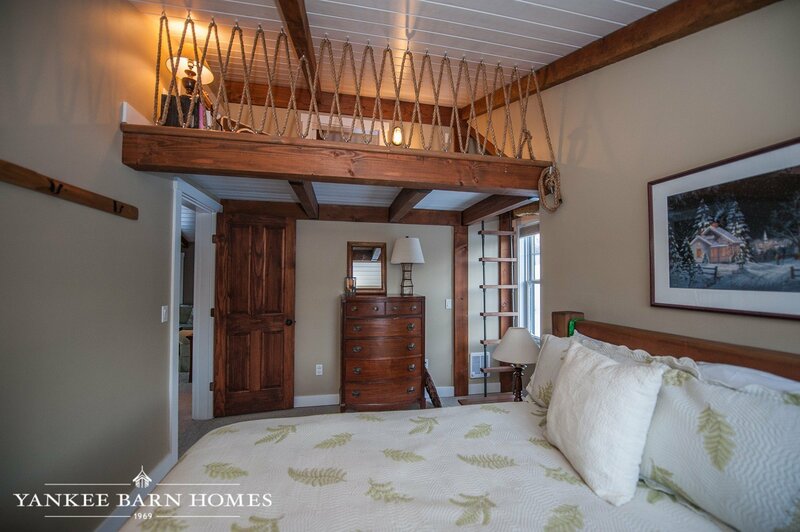 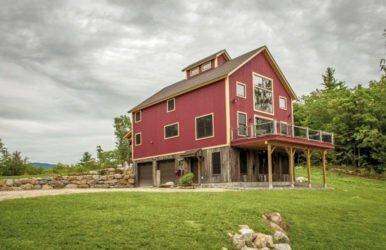 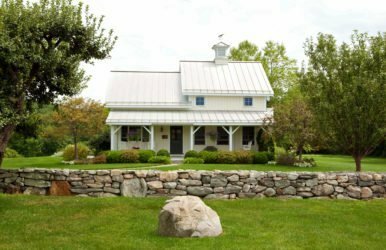 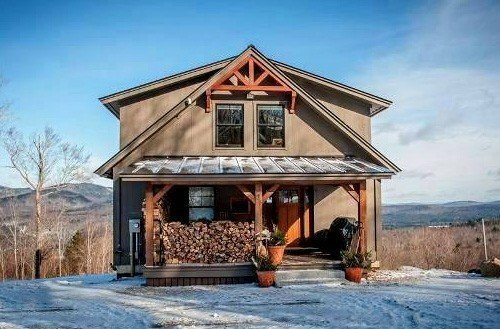 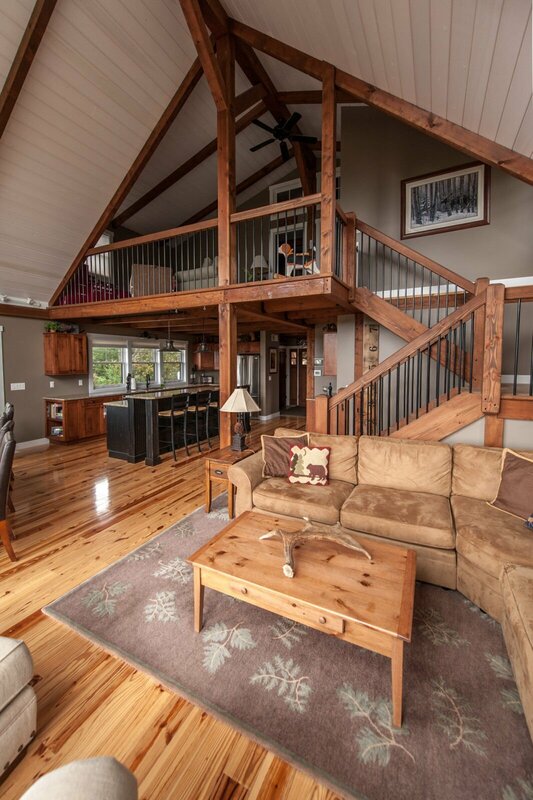 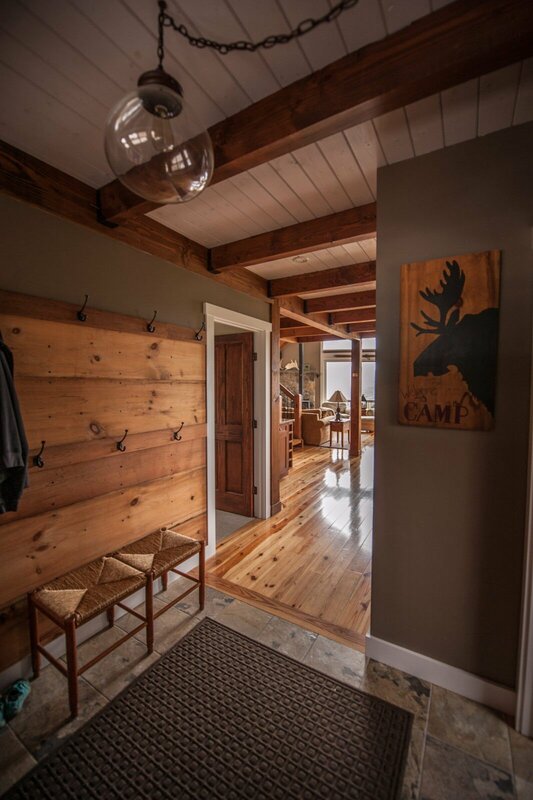 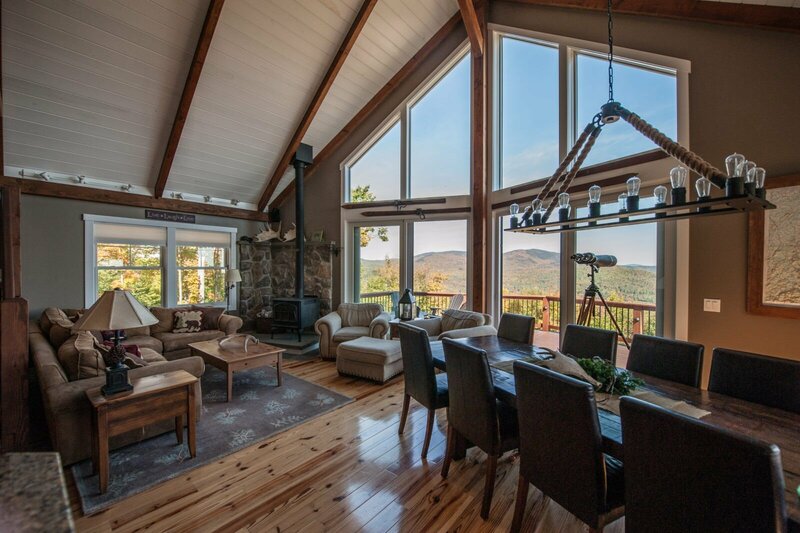 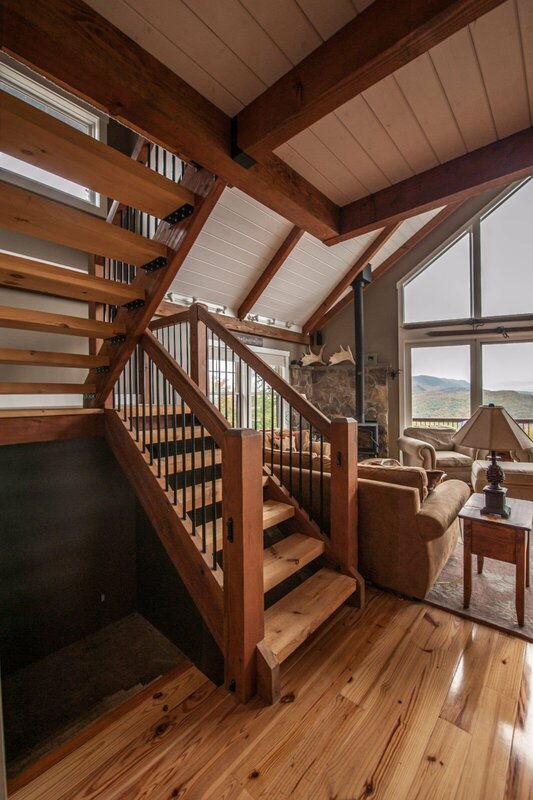 This smaller post and beam getaway lives large in the serene NH mountains. 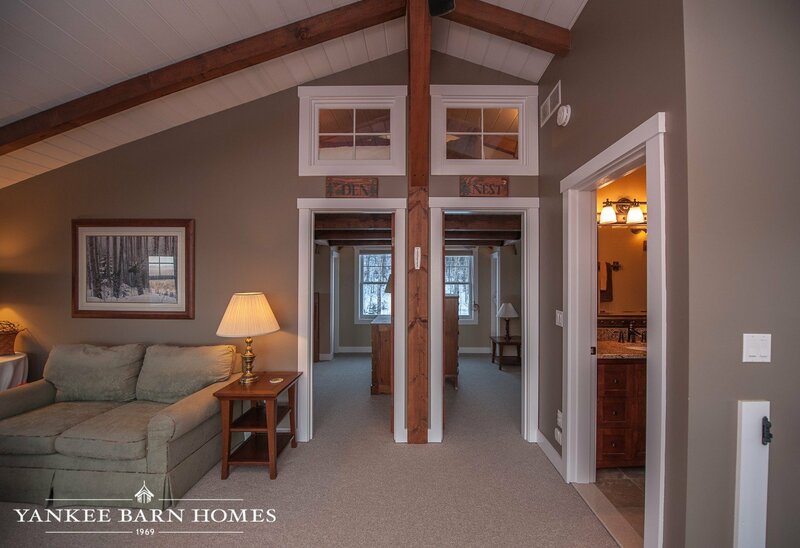 The overall home design and strategic window placement open the home up making it feel more spacious. 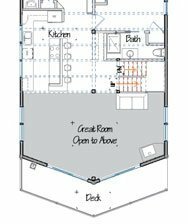 The 3 bedroom, 2 bath, 1,659 square feet layout uses every inch of space to maximum efficiency. 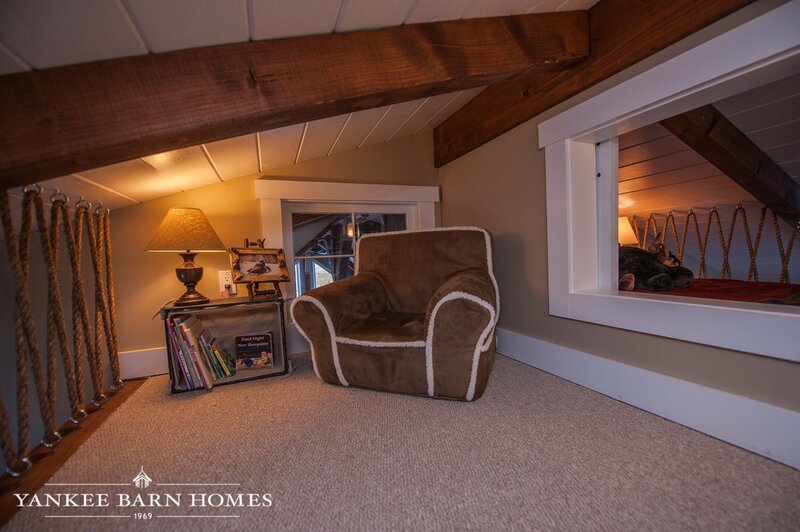 The upper loft doubles as both sitting area and play space for young children. 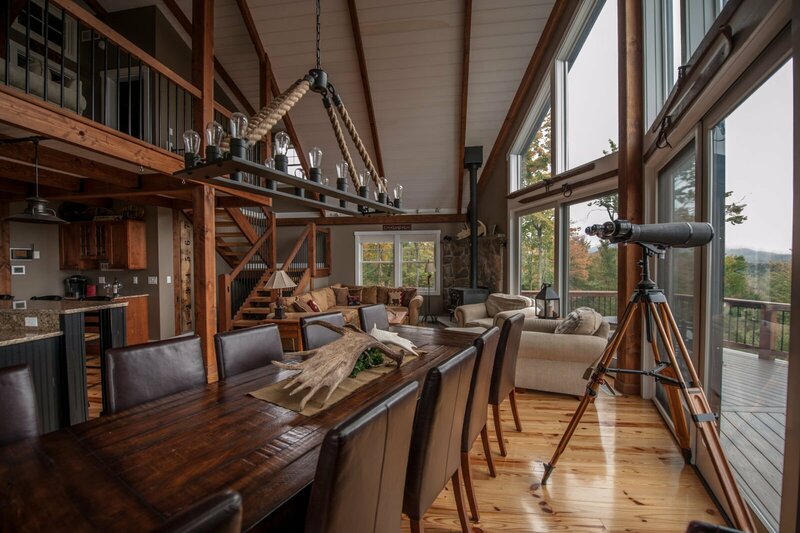 The common area of the house is open concept for easy living and freedom to move from space to space. 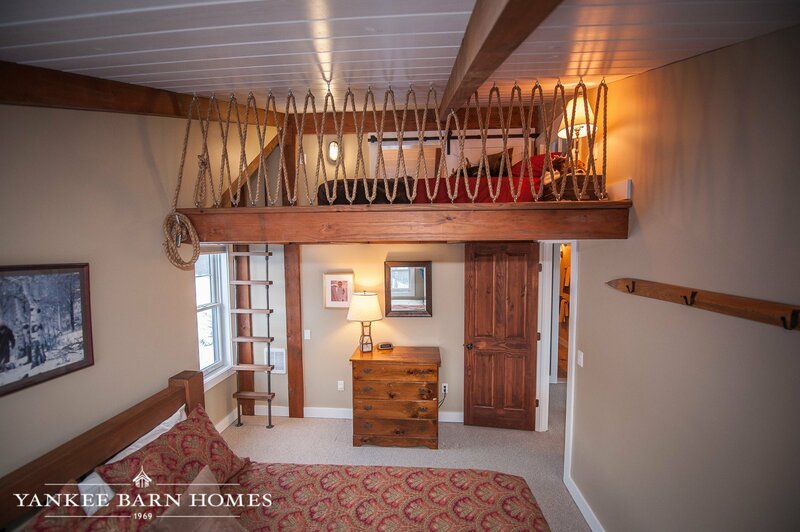 This includes a large deck off the front of the home which almost doubles the living space in warmer months. 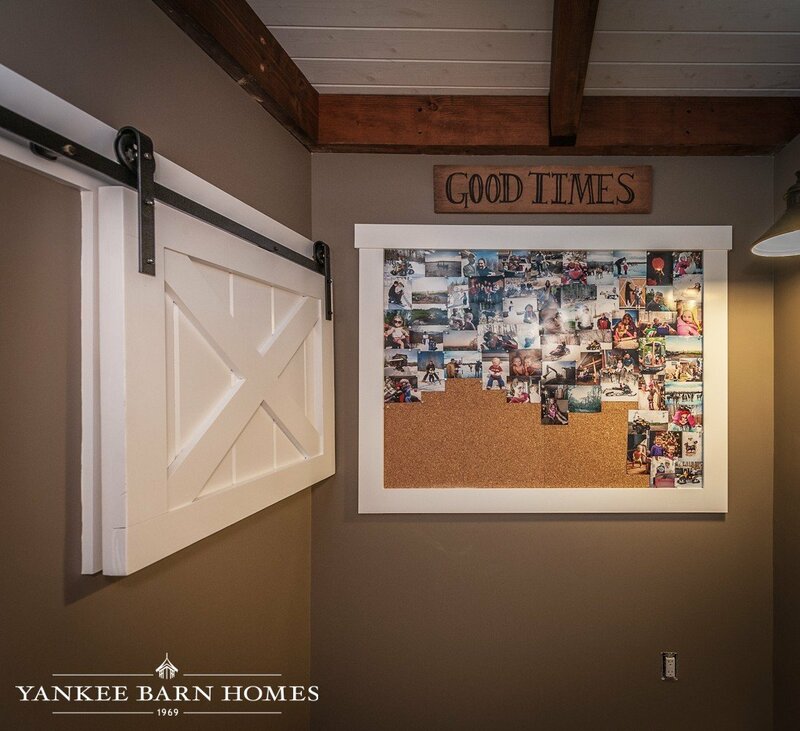 Yankee Barn Homes: A Unique Housing Co.